Autonomous Smart car interior. 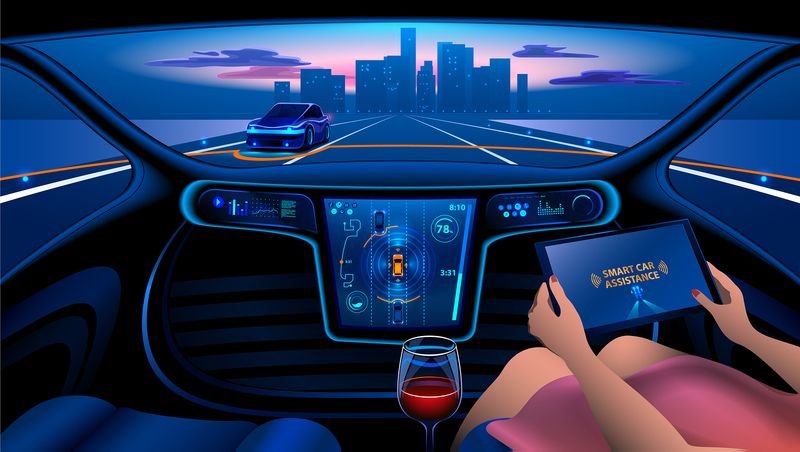 A woman rides a autonomous car in the city on the highway. The display shows information about the vehicle is moving GPS travel time Assistance app. Future concept.